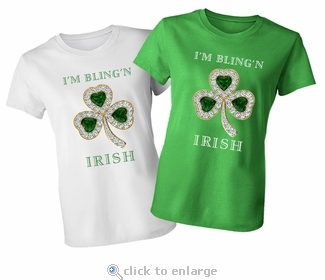 Irish and love to bling? 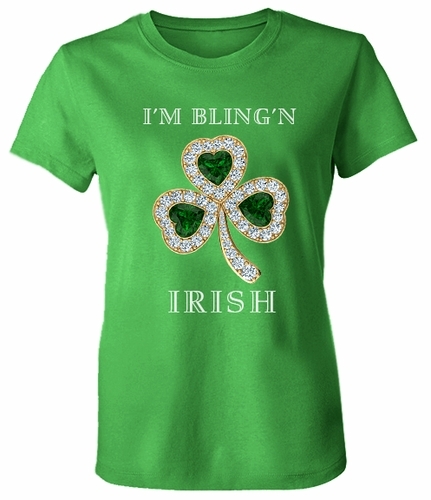 Here is a must have tee for St. Patrick's Day. 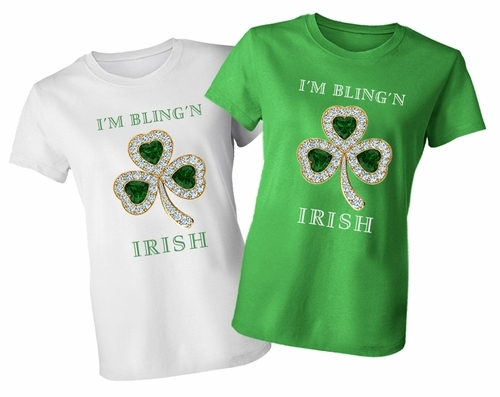 The I'm Bling'n Irish Emerald and Diamond Look Clover Shamrock Printed T-Shirt depicts a printed image of our Ziamond clover shamrock pendant. Everyone is going to love this printed tee. 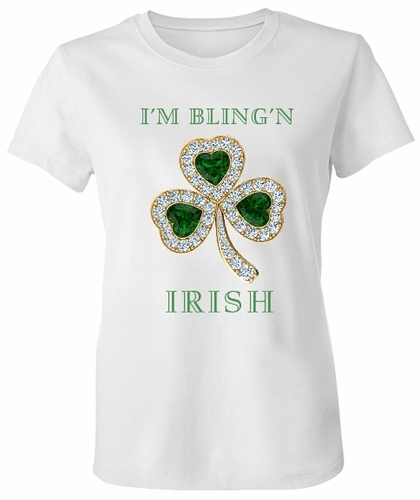 Whether you are Irish or not this makes an amazing and fun addition to your wardrobe and an even better gift for a friend. Each of these shirts are printed with the most up to date apparel printing methods on super soft 100% cotton fitted ladies shirts. These printed t-shirts come in sizes small, medium, large, extra large and extra extra large. The image of the Ziamond pendant and the text is printed using eco-friendly ink. There are no raised embellishments, crystals or sparkles or on this t-shirt. Available in white or green colored shirts. If you have any questions please call us directly at 1-866-942-6663 or use our live chat service and speak with a knowledgeable representative.